Later last night, Steve and I had a long chat about this. First, we both agree that you should lose weight, be healthy or try to reach your goals for YOURSELF. Not to prove a point, not to do it for your spouse or not to do it because someone is making you. No. The first reason we work on our fitness is for our OWN good. Agreed? 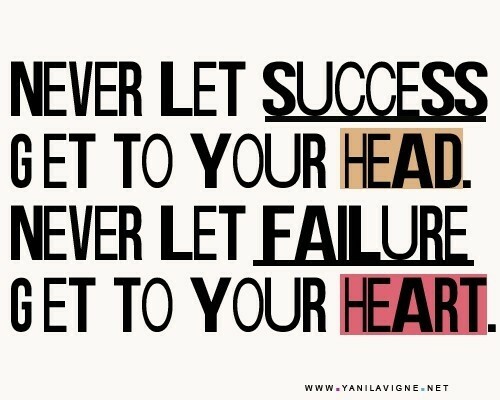 Fear of Failure or Fuel for Success? So, the next question was “if you shouldn’t care about what people think, is it wrong to use what they think to fuel you to succeed?” Personally, I don’t think so – as long as you can use it (within reason) for a positive, healthy result. I know good and well I should care less what people think. 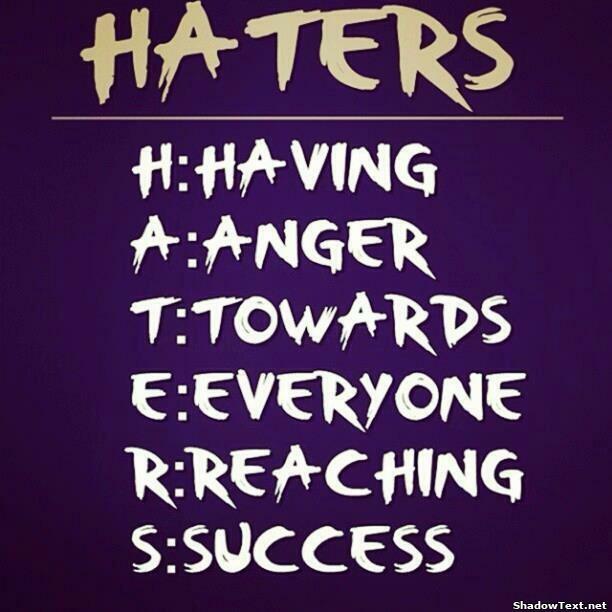 We all have haters. No matter how nice you are or how “good” you are, people will dislike you, wish you failure and be happy if you don’t succeed. Why? It stems from jealousy. If you succeed, it is just a reminder of what they could do or have if they tried as hard as you did. When people feel bad about themselves, they don’t want to be around people who actually are happy, healthy or successful. OR, if it’s a rival, sometimes it’s simply because they want all the attention and want to stay on top. Either way, since you will always have these people in your life, you can decide now what type of response you will have. You can A: ignore them (not a bad idea), B: resent them or C: benefit from them. I choose either A or C (depending on the person or situation). Most of the time I use it to fuel me, to hold me accountable, and to stretch me to do more than I am willing to do. I am extremely lazy by nature. I was born with one extra big lazy bone. While some areas are easy for me to succeed, other areas (like discipline and physical labor) are challenging. So, I have to figure out ways to push myself, to motivate myself and to keep myself pressing forward to my goal. How do I do that? I use one of my character flaws to actually bring about good in my life. Webster defines it as: “a feeling or deep pleasure or satisfaction derived from one’s own achievements, the achievements of those with whom one is closely associated, or from qualities or possessions that are widely admired.” There you have it. Pride. Yuck! Pride is typically referred to as a very negative characteristic, and it’s something I am not proud of at all (no pun intended lol). I can’t particularly say I get deep satisfaction from my own achievements, however I can admit I get deep dissatisfaction with failure. I HATE to fail – so much so, I won’t even try something new if there is a risk of bombing at it. This is something I discovered recently and am working to improve. I am not perfect so I don’t know why I have such high expectations of myself, but I do. Always have. I believe it is healthy and normal to have a certain amount of pride and have those proud moments. I can be proud of an accomplishment or take pride in my work. However, if I am full of pride and haughtiness, I think that’s totally wrong. (When pride comes, then comes disgrace, but with the humble is wisdom. Proverbs 11:2). Webster choose these synonyms for prideful: disdainful, haughty, lofty, lordly, superior. And the main antonym for prideful is humble. Another words, you can’t be prideful and humble at the same time, so it’s something you really have to keep in check. Just like it’s wrong to eat too much “honey” (AKA: food), you can have too much pride. If I’m careful to manage my pride and not focus on the selfish victorious feeling (that deep satisfaction Webster talks about), I can use the very thing that is meant for bad to bring about good in my life. The same way it is not good to care what people think, we shouldn’t not care at all – to the point we lose our drive to be the best we can be. “Do you not know that in a race all the runners run, but only one gets the prize? 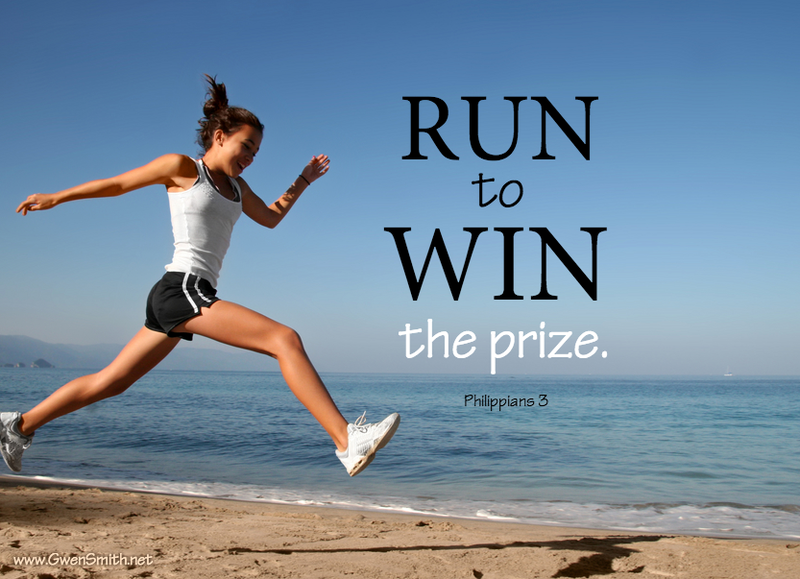 Run in such a way as to get the prize” 1 Corinthians 9:24. The last thing God wants us to do is become complacent, and I think many people say “I don’t care what they think” as a way to stay complacent. Sure, don’t measure your self-worth based on what others think, but why not use their opinions to encourage self-examination and drive to become better? 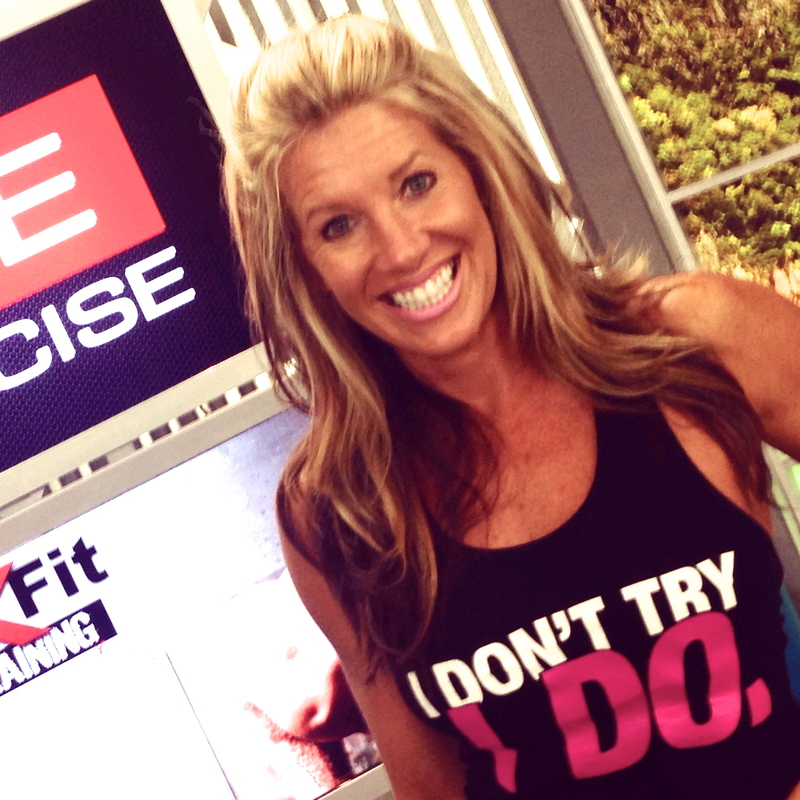 Some people use competitions to drive them, some use weight loss contests to push them or they even reward themselves with money or shopping. I really don’t have a need to succeed big, I just don’t want to fail big. I love striving for goals, but they are regular normal goals – nothing insane, nothing flashy, just me trying to be the best me. One of the things that drives me is knowing people are counting on me to lead by practicing what I preach. I also know there are people are counting on me to fail. Even Joyce Meyer uses Satan’s desire to ruin her day or damage her ministry to fuel her to do what’s right in good. She calls it giving Satan a ultimate black eye. I love it! Whatever you choose to use to drive you, we could all use a little more accountability. What drives you? What gets under your skin? What pushes YOU to succeed? Do you train for a race? Do you work towards hitting the stage? 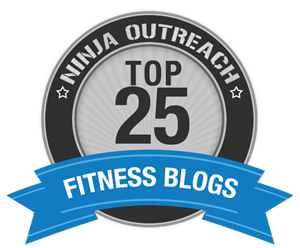 Do you exercise to improve skill and compete in physical competitions like CrossFit games or mud runs? Or do you let those nasty mean coworkers of yours fuel you to keep showing up even though they’ve already made fun of your dieting, already reminded you of how many times you failed, told you of all their friends who have “tried that” and it didn’t work, and taunt you with chocolate and fast food? There’s no wrong answer here. You just have to figure out what you need to use to push you to improve and not give up. PRIDE: Fear of Failure or Fuel for Success? | PFITblog. the comments come across as if they are coming from brain dead people? I definitely really liked every bit of it and i also have you book-marked to see new information in your website. Very useful information specifically the last section I deal with such info much. that’s been written about for ages. Excellent stuff, just wonderful! Having read this I thought it was really enlightening. I appreciate you spending some time and effort to put this content together. part of community where I can get feedback from other knowledgeable people that share the same interest. This paragraph is actually a nice one it helps new net visitors, who are wishing for blogging. we are looking to trade strategies with other folks, why not shoot me an e-mail if interested. I Love this post! Thanks Bonnie and Steve! upon just what I needed. I most indisputably will make sure to do not overlook this website and give it a glance regularly. to get hottest updates, therefore where can i do it please help out. and where can we get that wonderful shirt Bonnie???? I use many many many things to inspire me to perspire….negativity used to put me in a tail spin, now it gets me out the door to walk the Beast and the Beasties!